Did you see the eye-popping, eye-rolling, eye-give-up nutrition news last week? “No amount of alcohol is good for your overall health, global study says” and “Coconut oil is ‘pure poison’, says Harvard professor“. Do you sometimes feel like this ↓? I started a list of reasons why we hear such conflicting nutrition news, and before I knew it, I had 25 of them, and a headache. And I’ve probably missed some. If you get overwhelmed like I did, skip to the end for some reassuring tips about how to make sense of it all. Much of what you hear about food (or drink) and health doesn’t come from nutrition experts at all. It comes from headline writers, who sensationalize the news to entice you to click, not learn. 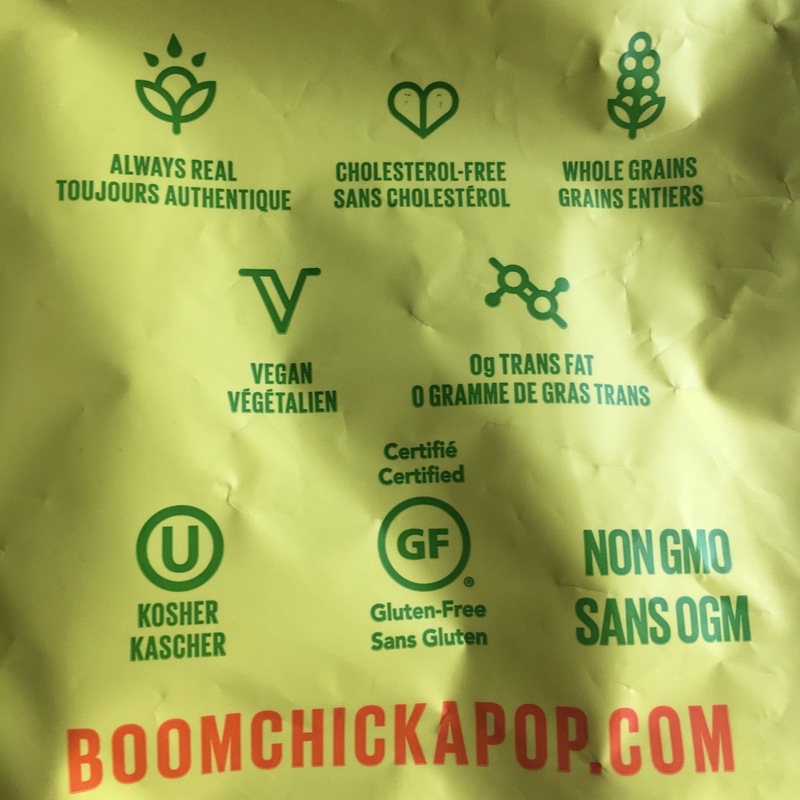 “So ‘real,’ whole grain, vegan, and kosher are good, cholesterol, trans fat, gluten, GMO are bad?” Food packages ≠ nutrition education. …or bloggers, authors, and celebrity doctors, whose ultimate goal is to sell… a book, their services, dietary supplements… Everyone is selling something, even me! (I do nutrition workshops for workplace wellness programs… thanks for asking.) The question is who’s using using fear, distrust, controversy, and unproven magic bullets, and who’s trying to be as evidence-based as possible, boring though it may be. You might be saying, “Sure, but I don’t listen to Dr. Oz. I read journal articles and consult legitimate experts. And there are still disagreements.” It’s true. There are. We don’t have all the answers. Nutrition is a relatively new science, and our understanding is still evolving. Until the last 70 years or so, the biggest concern with food was not getting enough. (Still is, for many people.) Our current focus on diseases related to overeating is relatively new. And unfortunately, we probably won’t have all the answers anytime soon. Airtight nutrition studies are notoriously difficult to design. Why? In theory, the ideal study would test an intervention, using a randomized controlled trial, where people are randomly divided into two (or more) groups big enough to cancel out individual differences. Researchers would follow them long enough to see the impact of the intervention. Simple right? Unfortunately, it’s not. For starters, some of the health conditions we’re most interested in, like cancer and cardiovascular disease, take decades to develop, but we want answers now. And just being in a study can change your behaviour. The documentary Forks Over Knives followed several people who experienced dramatic improvements in their health after switching to a “whole foods plant-based” (vegan) diet, as part of a study with Cleveland Clinic surgeon Caldwell Esslestyn, an enthusiastic proponent of this approach, who met with each volunteer biweekly to review their labs and food diaries. A compelling story, but the lack of a control group meant we couldn’t know for sure whether the results were due to the diet or the support and care provided to participants. And speaking of food diaries, they’re notoriously unreliable. Can you remember with 100% certainty what you ate yesterday? Every nibble? But for now, that’s the best we’ve got for (sort of) verifying that participants ate what they were supposed to. Of course you could keep them in isolation, so they can’t be tempted by the odd slice of birthday cake, but doesn’t exactly reflect real world conditions, does it? Sometimes this is done, but obviously not for long, or with many participants. You could provide all of their food while they’re in the study, but that’s pretty expensive, and doesn’t very well predict what will happen when people try the intervention on their own. And what if the intervention is unappealing to volunteers? Would you sign up for a study to be randomly assigned to drink either three cups of coffee or no coffee? For how long? How long can people realistically follow a special diet? Remember, study volunteers are real people who may have jobs, families, and Thanksgiving dinners to attend. And some interventions would just be unethical. What about a study where volunteers are randomly assigned to either drink no alcohol or drink heavily? Can’t do that. So we do observational studies. Look at people who are already drinking lots of alcohol, or coffee, or whatever, and track them over time, to see what happens to their health. Trouble is, people choose to drink heavily or not at all are likely different in other ways. We can’t say for sure whether it was the food or drink in question that caused the health outcome, or something else, like differences in income, smoking, history of trauma, social connections, or a million more factors. Researchers do their best to adjust the results to account for those other differences, but they can’t possibly include everything. That’s why, if you read the details of such a study, you’ll see a reminder that it can’t prove cause and effect. Can someone tell that to the headline writers? And observational studies rely on lengthy questionnaires about eating and other habits. “In the past six months, how often did you eat eggs? 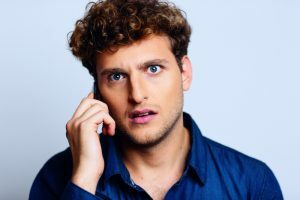 0, 0-2, 2-4, or 4+ per week?” But how well can a volunteer really remember those minute details? And even if memory is perfect, people might skew their answers to be more socially acceptable. “How often do you have sugary desserts? Daily, Weekly, or Only on very, very special occasions.” These questionnaires are tested against other ways of assessing food intake, but still, their reliability has been called into question. Add to that the fact that when we eat more of one thing and we’re likely to eat less of another. Soy protein has been tied to lower cholesterol. 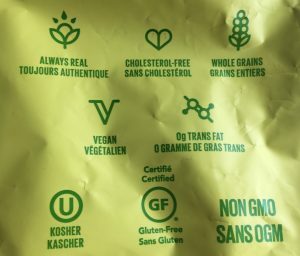 But are veggie burgers cholesterol-lowering, or is it just that people who eat them aren’t eating hamburgers? Or is it other, less processed forms of soy? How much? The questions are endless. Plus not everyone has the same reaction to the same food or diet. Could animal research be the answer? It does provide clues, and eliminates some idiosyncrasies of human study participants, but clearly we’re not rats, so it’s not enough. At the end of the day, nutrition experts do their best to piece together findings from all kinds of studies to give the best evidence-based guidance they can. But we all have our biases, much as we try to overcome them. A researcher who has published study after study showing the cholesterol-lowering advantage of a diet low in saturated fat will likely offer a different interpretation than a writer who has built their fame on opposing the conventional wisdom. Scientists need to be able to admit when they’re wrong, but we’re all human. Even just a personal preference for foods like coffee, wine, red meat, and chocolate may influence someone’s interpretation of the research. And of course there is the important question of who paid for a study. New York University nutrition professor Marion Nestle has written extensively on how industry-funded studies tend to be more favourable. And today more than ever, food is like religion to some people. Their diet is their identity, the connection with their tribe. So that affects how research is interpreted also. Plus, controversy is just more interesting than tried and true basics, so findings that counter conventional wisdom will always get more attention in the media. “FRUIT AND VEGETABLES HELP PREVENT HEART DISEASE,” shouted no headline ever. So what’s a person seeking better health to do? If you don’t have time for further research, moderation is a reasonable approach when there is debate. Coconut oil, bacon, butter, red meat, alcohol… unless you have an allergy or intolerance, it’s not necessary to shun them completely, but they probably don’t deserve top billing either. Look to guidelines and systematic reviews, like you’ll find in The Cochrane Library, which are based on a large body of knowledge, interpreted by multiple experts, rather than individual studies, books, or articles. Ignore hotshots who claim with absolute certainty that they have the answer to any complex health concern, be it weight loss, diabetes, or cancer. “I’ve figured out what the experts don’t want you to know,” is a good sign to close your browser. Ask a dietitian. We’re committed and required to stay on top of emerging nutrition research. Understanding and interpreting the science behind food is what we do, looking beyond fads and gimmicks to translate the science of nutrition into terms everyone can understand. Trust yourself and do what works for your body. Guidelines are often quite general, leaving lots of room for personalization. What do you enjoy? 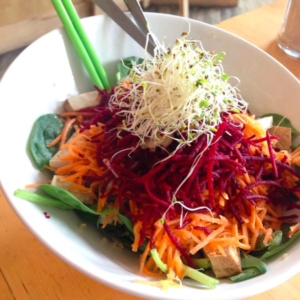 What foods leave you feeling energized? Don’t lose any sleep over all of this. Our health is affected by much more than the food we eat, from obvious factors like physical activity and stress, to ones that are only recently being recognized, like weight stigma, social determinants of health, and uh, sleep. And what do I make of that alcohol study? Despite the headlines, the findings aren’t all that different from our previous knowledge. One or two drinks a day are associated with less heart disease but an increased risk of other problems, from cancer to car accidents. The more you drink, the more health problems you risk, and any benefit disappears. Just FYI, these are about two “standard drinks” each, according to the latest study, not one. And what kind of risk does that second drink bring? Now they estimate 977 of 100,000 people are predicted to experience alcohol-related health problems. And it goes up from there. Guidelines, however, won’t change nearly as much as headlines. 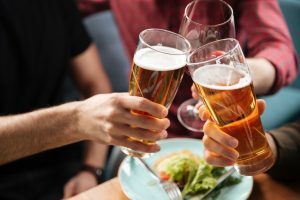 They’ve always been prudent, cautioning against using health benefits as a reason to drink, because the downsides of drinking more than just a little outweigh any benefits, no matter which study you consult. And coconut oil? I’ve covered that before, and probably will again. It’s not a miracle superfood, but certainly doesn’t meet the definition of “pure poison”. But you probably knew that, right? Your thoughts are welcome, as always. Join the conversation on Facebook. ← Want to eat more fruit and vegetables? Try this.